Everything is better when you get together at the non-smoking Clarion Inn and Suites Atlanta Downtown hotel in Atlanta, GA located within walking distance of the Georgia Dome, Georgia World Congress Center and Atlanta University Center. We are located downtown in the historic Castleberry Hill Art District near popular attractions like World of Coca-Cola, Georgia Aquarium, CNN Center and Phillips Arena. 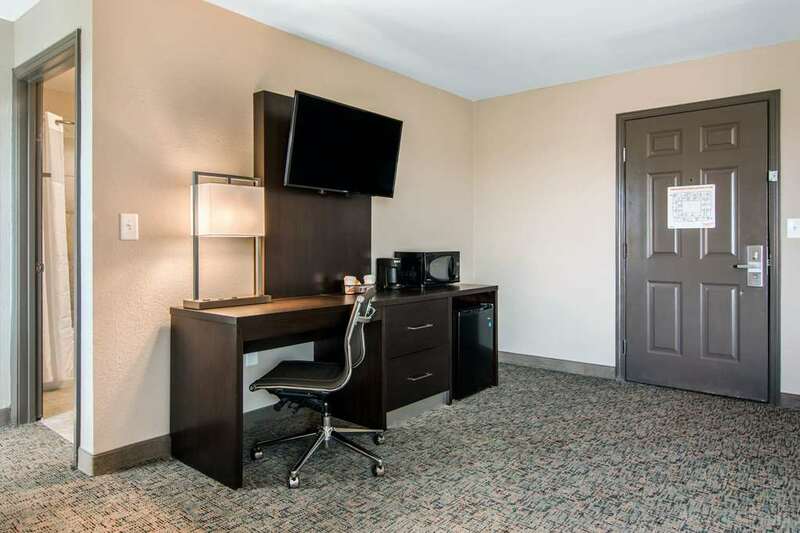 Amenities include meeting rooms, free hot breakfast, free WiFi, free parking and a business center. Enjoy Southern food at our restaurant, Paschals. Relax in your guest room with amenities like a refrigerator, microwave and flat-screen TV. Earn rewards with every stay with our Choice Privileges Rewards program. Pets allowed 35.00 USD per night. A maximum of 45 pounds and a maximum of 1 pet per room.